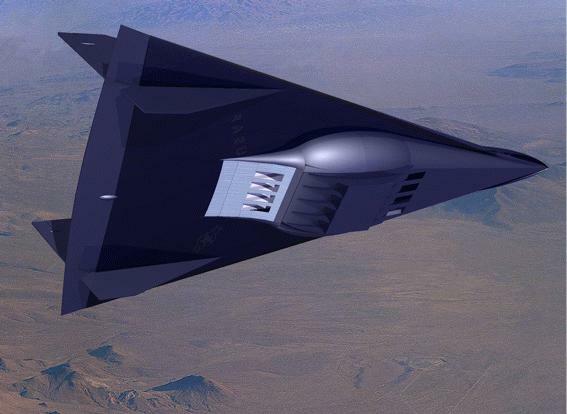 "... Mach 4, 200,000-ft.-altitude aircraft that could be a follow-on to the Lockheed SR-71 strategic reconnaissance vehicle in the 1990s has been defined by the Air Force Aeronautical Systems Division and Lockheed." 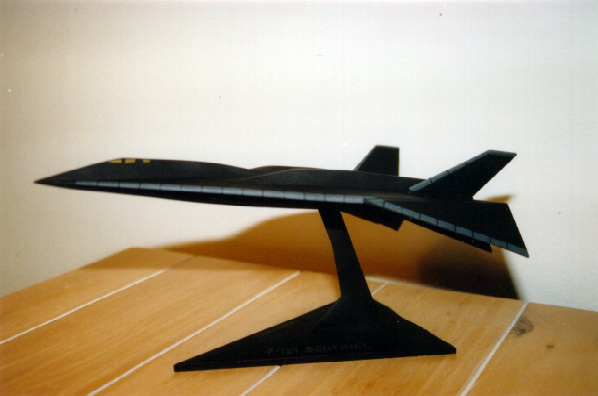 "... hypersonic replacement for the Mach 3 plus SR-71 reconnaissance aircraft. Circumstantial evidence suggests that this project has been underway since 1987 and that a first flight occurred in 1989... Aurora could be operational in 1995, six years after the probable first flight." This analysis suggested that the total development costs for Aurora might range from $4.4 billion to $8 billion, with the procurement of 24 aircraft costing an additional $10 billion to $24 billion. "... Aurora was being flown from a base in the Nevada desert to an atoll in the Pacific, then on to Scotland to refuel before returning to the US at night. Specially modified tanker aircraft are being used to top up Aurora's tanks with liquid methane fuel in mid-air... The US Air Force is using the remote RAF airbase at Machrihanish, Strathclyde, as a staging point... The mystery aircraft has been dropping in at night before streaking back to America across the North Pole at more than six times the speed of sound... An F-111 fighter bomber is scrambling as the black-painted aircraft lands, flying in close formation to confuse prying civilian radars." The rationale used most frequently by the Department of Defense for the SR-71's termination was financial. The Blackbird's operation and maintenance costs were very high. According to some reports, the SR-71's O&M costs were nearly $710- million in FY-90 and FY-91.<46> Furthermore, they argued, imaging satellites could now conduct worldwide surveillance more efficiently and less expensively than manned reconnaissance aircraft. Independent aerospace analysts, however, deflated this argument somewhat by pointing to the unique advantages aircraft bring to the reconnaissance arena. Aircraft, for example, are inherently flexible and unpredictable. Though not as fast as satellites, they can fly lower and the interval between over the horizon arrival and time-over-target is just as short. Aircraft have a wide choice of routes, so tracking ships are unlikely to see it on the way in. Application of low observable technology could further reduce warning time.<47> Thus, it appears plausible that aircraft may still have a role in global reconnaissance. Beginning in the mid-1980s, the Air Force and NASA have supported a number of studies of aircraft that are consistent with accounts of the Aurora project. Although these studies have not been linked to actual development efforts, they provide some insight into the potential configuration and capabilities of Aurora. "The sleek aircraft would cruise at Mach 5 (3,350 mph) speed at a maximum altitude of about 100,000 feet. The aircraft would be made primarily of titanium with its outer edges constructed of Inconel, a heat-resistant stainless steel. At Mach 5 speed the leading edges of the air-frame would glow red above 1,000 degrees Fahrenheit. Power for this futuristic airplane would come from four turbo-ramjets. The engines would operate as turbojets at low speeds, but at higher speeds the compressor and turbine would be overridden so the engines would operate as ramjets." Thrust - kN		? ?		? 267		? "... purpose of the proposed investigation is to develop an improved foundation for manned aircraft air-breathing propulsion integration technology in the Mach 4 to 6 regime." Keeping an aircraft sufficiently cool during extreme speeds is a primary challenge of hypersonic flight. According to studies done by General Dynamics and Boeing, an aircraft travelling at between Mach 5.5 and Mach 6 would have an average skin temperature of approximately 1100-1300 degrees Fahrenheit.<66> One potential solution incorporated in the Air Force studies, also being explored by researchers at NASA's Langley Research Center and Wright-Patterson Air Force base,<67> is the use of Methylcyclohexane (MCH) as both the fuel and the thermal management medium of the vehicle. One aerospace journal says that an aircraft travelling at Mach 6 would be inside the combustion envelope of a subsonic-combustion ramjet. It suggests that the aircraft would thus need an accelerator to get it moving. One type of accelerator would be a ducted-rocket cycle into the engine. A fuel-rich, liquid rocket exhaust would be injected into a ramjet duct, pumping air through it even at rest. A second combustion then takes place, using atmospheric oxygen.<72> (This second combustion could produce the loud rumbling noises heard recently in California, discussed below). The first suggestion that these studies might be translated into operational hardware appeared in the Fiscal Year 1986 procurement program document, colloquially known as the P-1, dated 4 February 1985. A line item in this document, labeled "Aurora," was slated to receive $80 million in 1986, and over $2.2 billion in 1987.<73> Since this line item appeared next to the line funding the TR-1 reconnaissance aircraft, it stirred up a hornet's nest of conjecture that a secret aircraft was being developed to replace the aging SR-71. No money was ever appropriated for Aurora! In the February 1985 submission of the FY 1986 budget, the Aurora line item projected a request of over $2 billion in the FY 1987 budget. But one year later, when the FY 1987 budget was submitted, the Aurora line item had vanished as mysteriously as it had first appeared. Indeed, FY 1987 request for the overall Air Force aircraft procurement account was several billion dollars less than had be projected in 1985, and there were no line items in the FY 1987 request that could have been used to conceal a request for funding for Aurora. Much of the subsequent speculation on Aurora has implicitly assumed that there was an identifiable source of funding for the program. Although this is not obviously the case, there nonetheless remains one tantalizing, and previously unremarked, hint that the Aurora program was in fact funded, though at a significantly reduced scale. As previously noted, the case for the existence of all mystery aircraft, including Aurora, must be predicated on identifiable sources of funding. Thus the proper identification of the programmatic content of the major elements of the black budget is essential to assessing the status of mystery aircraft, such as Aurora. A not-implausible accounting has already been given that suggests an identifiable source of funding that may be attributed to the TR-3A stealth aircraft program. But where in the budget might other aircraft programs be funded? Some have assumed that the funding for the CIA and NRO is entirely hidden from view -- completely off-budget, or widely dispersed among a large number of accounts in many government agencies, or disguised in some obscure accounting transaction of the Federal Financing Bank, or perhaps secreted somewhere among the subsidy programs of the Agriculture Department. Under such assumptions, the billions of dollars appropriated each year for such programs as "Selected Activities" or "Special Programs" would provide more than enough money to finance a vast fleet of exotic aircraft. But a more detailed consideration of the classified budget provides little basis for believing that these line items might provide funding for such purposes. While the structure of the classified budget is obscure, it is not perverse. Line items in the budget may be given opaque names, like Selected Activities, which obscure their programmatic content, but there are no activities that are not included in some budget item, however obscurely. There are no off-budget programs. Other line items, such as "Special Programs" (the nomenclature used for the National Reconnaissance Office) may omit the value of the budget. But in such cases, a fair approximation of the omitted value may be obtained by subtracting the sum of those lines for which values are given from the total provided for the budget category which includes the omitted values. It may also be fairly assumed that the multitudinous Navy classified budget items, such as Chalk Coral and Retract Amber, are funding only Navy projects, rather than Air Force programs. And it may also be assumed that Aircraft Procurement accounts fund only aircraft, and that Missile Procurement accounts fund only missiles or space vehicles, though the more generic Other Procurement accounts clearly fund a wide range of programs. The Other Procurement Air Force account includes a line item opaquely labeled "Selected Activities," which typically accounts for about half of the total budget of this account. Analysis of the outlay rates for this and other budget accounts reveals an interesting anomaly. Procurement accounts, which fund the purchase of hardware, typically spend about 5% to 15% of their appropriation in the first year, with outlays rising to 20% to 40% in the second and third years, and declining thereafter. This reflects the contracting process, in which several years are required to complete manufacture of hardware. In contrast, personnel and operations and maintenance accounts, which are largely for payroll and supplies, typically have first year outlay rates of 50% to 80%. Uniquely, the Other Procurement Air Force account has a first year outlay rate that has ranged from over 40% to nearly 60%. The only possible explanation for this anomaly is that the "Selected Activities" half of the Other Procurement Air Force account is in fact not a procurement activity, with a low first-year outlay rate, but rather funds personnel and operating expenses, with their characteristic high first-year outlay rate. In recent years, the budget for the "Selected Activities" line item has been somewhat in excess of $5 billion annually. This value is consistent with the roughly $3 billion that is the reported budget of the Central Intelligence Agency, as well as the personnel and operations and maintenance budget of the National Reconnaissance Office. There is no reason to doubt this conclusion. But when the actual FY 1987 budget was submitted a year later, not only had Aurora disappeared, but the Special Update Program budget request was $851 million, over $700 million more than had been projected a year earlier. It is not implausible that this reflected a decision not to proceed with production of an operational system which would have been funded under the Aurora line item, but instead to conduct some sort of prototype propulsion test program, funded under the Special Update Program line. The $1.5 billion appropriated for this account since 1987 would be consistent with such a prototype effort. Although this analysis is necessarily speculative, the coincidental behavior of these two budget line items is certainly highly suggestive. This also identifies a not- implausible source of funding for an experimental high-speed, high-altitude aircraft with primarily intelligence applications. "...the US Government has secretly developed and deployed a hypersonic reconnaissance aircraft, probably as a replacement for the SR-71." There are two classes of reports relating to Aurora: those that are consistent with a limited experimental test program; and those that are suggestive of the existence of an operational capability. Edwards Air Force Base in southern California is the primary facility used by the American military for the flight testing of experimental aircraft. In addition, the Groom Lake facility at Nellis Air Force Base in Nevada was used for developmental testing of the F-117A, and has been associated with reports of other advanced aircraft. Given this geographical concentration, it would not be surprising if secret aircraft undergoing flight tests were to be observed in the Southwestern United States. "A high altitude aircraft that crosses the night sky at extremely high speed.... The vehicle typically is observed as a single, bright light -- sometimes pulsating -- flying at speeds far exceeding other aircraft in the area, and at altitudes estimated to be above 50,000 ft.... Normally, no engine noise or sonic boom is heard." More recently, a sighting by two British Airways pilots and other witnesses at Manchester Airport on January 6 1995 has been attributed to the Aurora aircraft. "We can't tell anything about the vehicle. They seem stronger than other sonic booms that we record once in a while. They've all come on Thursday mornings about the same time, between 6 and 7 in the morning." It occurred in a coastal area. Described as similar to an earthquake in some respects (rattling of loose objects, etc) but also like a boom (but no distinct double bang as far as is known). Severe enough to light up government and media switchboards, but no known damage. Local military bases deny any knowledge. "On Apr. 5 (a Sunday) and Apr. 22, radio hobbyists in Southern California monitored transmissions between Edwards AFB's radar control facility (Joshua Control) and a high-altitude aircraft using the call sign "Gaspipe." The series of radio calls occurred at approximately 6 a.m. local time on both dates. "Controllers were directing the unknown Gaspipe aircraft to a runway at Edwards, using advisories similar to those given space shuttle crews during a landing approach. The monitors recorded two advisories, both transmitted by Joshua Control to Gaspipe: "You're at 67,000, 81 mi. out," and "Seventy mi. out, 36,000. Above glide slope." Reported sightings of unusual high performance aircraft are not confined to the Southwestern United States. More recently, such observations have also been reported in other parts of the United States, as well as in Europe. These reports are particularly intriguing because they are difficult to reconcile with an experimental test program, since there would be no reason for test flights to be conducted in Europe. Rather, these reports would have to be understood in the context of the deployment of an operational aircraft. "... RAF radars have acquired the hypersonic target travelling at speeds ranging from about Mach 6 to Mach 3 over a NATO-RAF base at Machrihanish, Scotland, near the tip of the Kintyre peninsula, last November and again this past January." "Congress, in addition to killing the SR-71 late last year , voted to terminate a $100 million "related classified activity" that may have been the follow-on effort." "... the Congress directed the Department [of Defense] to develop a viable long-term roadmap for airborne reconnaissance. The Department has not done that and will not have that roadmap available until next year. Even then, the Department has proposed to initiate an extraordinarily expensive effort to reproduce the capabilities inherent in the SR-71. The committee cannot endorse that request..."
"The possible follow-ons (to the SR-71), which again we can't even talk about, even if we were going ahead with them, wouldn't be available for many years, six or seven years, and we are not going ahead with them." "There are a couple of programs... Frankly, we have not found them too promising." These official pronouncements are difficult to reconcile with other forms of evidence suggesting the existence of an SR-71 follow-on. Byron Salisbury has built an aircraft model of a conceptual design based on eye witness sightings and information from highly reputable sources. He believes the model to be 95%+ accurate of the "aurora" plane sighted in the North Sea and South Eastern and South Western United States. The model kit is made entirely of white plastic resin and is easy to assemble. The measurements are 12" long x 9" wing span x 2" high. The cost per model is $75.00 plus $15.00 shipping and handling. If you would like to place an order or have any questions he can be reached at cromlich@iag.net or by snail mail at B.M. Salisbury, 4620 E. Michigan Street #103, Orlando, Fl. 32812. <41> "Mach 4, 200,000-Ft.-altitude Aircraft Defined," Aviation Week & Space Technology, 29 January 1979, page 141. <42> Sweetman, Bill, "Mystery contact may be Aurora," Jane's Defense Weekly, 29 February 1992, page 333. <43> "Evidence Points to Stealth Spy Plane," High Technology Business, April 1988, pages 8-9. <44> "Skunk Works Revenues Point to Active Aurora Program, Kemper Says," Aerospace Daily, 17 July 1992, page 102. <45> Campbell, Christy, "Secret US Spy Plane is Kintyre's Dark Visitor," Sunday Telegraph, 26 July 1992, page 1. <46> "Air Force Battle Brews over using unmanned vehicles for coveted spy mission," Inside The Pentagon, 9 June 1989, page 8. <47> Sweetman, Bill, "Aurora - is Mach 5 a reality?" Interavia Aerospace Review, 11 1990, page 1009. <49> Sweetman, Bill, "Aurora - is Mach 5 a reality?" Interavia Aerospace Review, 11 1990, p.1010. <50> Artists Rendering, US Air Force, Washington, DC, 12 November 1985. <52> "Secret Advanced Vehicles Demonstrate Technologies For Future Military Use," Aviation Week & Space Technology, 1 October 1990, page 21. <53> Sweetman, Bill, "Aurora - is Mach 5 a reality?" Interavia Aerospace Review, 11 1990, page 1009. <55> Woods, E.J. et al, "Advanced Aircraft Secondary Power System Design," Proceedings of the 25th Intersociety Energy Conversion Engineering Conference, Reno, Nevada, 12-17 August 1990, volume 1, pages 505-510. <56> Kaufmann, H.G., et al, "Control Strategy for Maximizing Reconnaissance Range of Hypersonic Cruise Vehicles," Journal of Aircraft, vol. 29, no. 3, May- June 1992, pages 360-365. <57> Sweetman, Bill, "Aurora - is Mach 5 a reality?" Interavia Aerospace Review, 11 1990, page 1009. <58> Petley, Dennis, "Thermal Management for a Mach 5 Cruise Aircraft Using Endothermic Fuel," Journal of Aircraft, vol. 29, no. 3, May-June 1992, pages 384-389. <59> Woods, E.J. et al, "Advanced Aircraft Secondary Power System Design," Proceedings of the 25th Intersociety Energy Conversion Engineering Conference, Reno, Nevada, 12-17 August 1990, volume 1, pages 505-510. <60> Kaufmann, H.G., et al, "Control Strategy for Maximizing Reconnaissance Range of Hypersonic Cruise Vehicles," Journal of Aircraft, vol. 29, no. 3, May- June 1992, pages 360-365. <61> "Air Force Issues RFP for Mach 4-6 Aircraft Propulsion Development," Star Wars Intelligence Report, 21 January 1986, page 10. <62> "Boeing Designs Interceptor Aircraft Capable of Sustained Supersonic Speeds," Aviation Week & Space Technology, 11 February 1985, page 61. <63> Woods, E.J. et al, "Advanced Aircraft Secondary Power System Design," Proceedings of the 25th Intersociety Energy Conversion Engineering Conference, Reno, Nevada, 12-17 August 1990, volume 1, pages 505-510. <64> Petley, Dennis, "Thermal Management for a Mach 5 Cruise Aircraft Using Endothermic Fuel," Journal of Aircraft, vol. 29, no. 3, May-June 1992, pages 384-389. <65> Gasner, James, et al, "Evaluation of Thermal Management for a Mach 5.5 Hypersonic Vehicle," AIAA/SAE/ASME/ASEE 28th Joint Propulsion Conference, 6-8 July 1992, Nashville, TN, AIAA paper 92-3721. <66> Gasner, James et al. "Evaluation of a Thermal Management System for a Mach 5.5 Hypersonic Vehicle." AIAA/SAE/ASME/ASEE 28th joint conference and exhibit, July 6-8, 1992. page 2. Woods, E.J. et al. "Advanced Aircraft Secondary Power System Design." Proceedings of the 25th Intersociety Energy Conversion Engineering Conference, August 12-17, 1990. volume 1, pages 506-507. <67> "Endothermic-Fueled Jet could Break Mach 5," Popular Mechanics, August 1991, page 15. <68> Gasner. ibid. page 3. <70> Petley, Dennis H. and Stuart C. Jones. "Thermal Management for a Mach 5 Cruise Aircraft Using Endothermic Fuel." Journal of Aircraft. May-June 1992, page 385. <72> "Update on Aurora," Aerospace World Weekly, 9 March 1990, page 5. <73> Department of Defense, Procurement Programs (P-1), 4 February 1985, page F-6, line 28. <74> "Secret Advanced Vehicles Demonstrate Technologies For Future Military Use," Aviation Week & Space Technology, 1 October 1990, page 20. <75> "Aurora Myth," Aerospace Daily, 9 October 1990, page 34. <76> "Update on Aurora," Aerospace World Weekly, 9 March 1990, page 5. <77> Pope, Gregory, "America's New Secret Aircraft," Popular Mechanics, December 1991, page 35. <78> "Secret Advanced Vehicles Demonstrate Technologies For Future Military Use," Aviation Week & Space Technology, 1 October 1990, page 20. <79> Department of Defense, Procurement Programs (P-1), 4 February 1985, page F-31, line 308. <81> "Secret Advanced Vehicles Demonstrate Technologies For Future Military Use," Aviation Week & Space Technology, 1 October 1990, page 20. <84> Marshal, Jonathan, "In Plane Sight? Washington City Paper, 3 July 1992, page 12-13. <85> Scott, William, "New Evidence Bolsters Reports of Secret, High-Speed Aircraft," Aviation Week & Space Technology, 11 May 1992, pages 62-63. 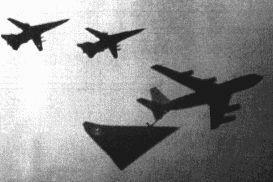 <86> "Possible Black Aircraft Seen Flying In Formation With F-117s, KC-13s," Aviation Week & Space Technology, 9 March 1992, page 66. <88> "Blast From The Past," Aviation Week & Space Technology, 25 November 1991, page 23. <89> Scott, William, "New Evidence Bolsters Reports of Secret, High-Speed Aircraft," Aviation Week & Space Technology, 11 May 1992, pages 62-63. <90> Campbell, Christy, "Secret US Spy Plane is Kintyre's Dark Visitor," Sunday Telegraph, 26 July 1992, page 1. <91> Rogers, Jim, "RAF Radar Tracked 'Aurora' Over Scotland at Speeds From Mach 3 to Mach 6," Inside the Air Force, 24 April 1992, pages 1, 10-11. 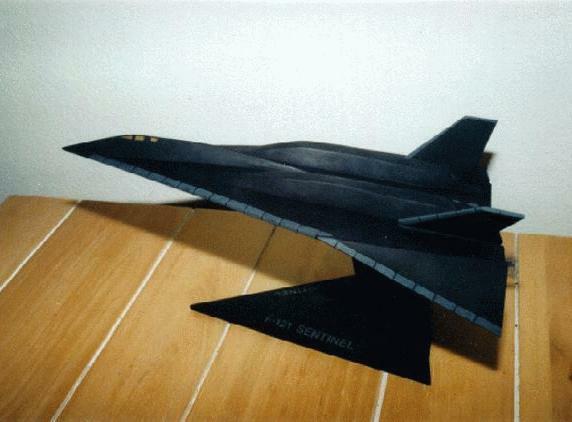 <92> "Successor Relies on Stealth Not Speed," Defense Daily, 30 May 1990, page 503. <93> "Classified System Seen Providing Timely Intelligence Data," Aerospace Daily, 17 January 1990, pages 92-93. <94> United States Senate Armed Services Committee, National Defense Authorization Act for Fiscal Year 1991, 101st Congress, 2nd Session, 20 July 1990, page 138.